An online marketplace for businesses based in India and the United States, was launched last week. The partnership between Parikh Worldwide Media Inc., the largest ethnic media organization in the U.S. led by publisher Dr. Sudhir Parikh, and Zifiti.com, an online marketplace headed by Shinu Gupta, a former Wall Street executive with 30 years of experience developing IT marketplaces, plans to strengthen e-commerce for South Asian-owned businesses. 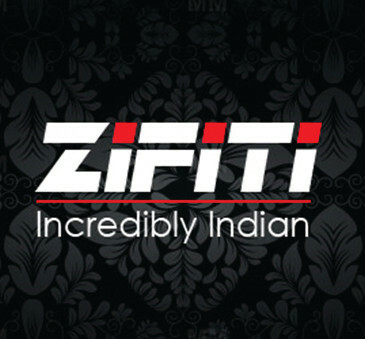 The mission of Zifiti is to bring marketers of Indian products in the U.S. and those dealing in high-end products from India to a one-stop shopping mall online. Products available would range from the smallest kitchen item, groceries, clothing, and jewelry, to cars and homes. It would give flexibility to manufacturers and sellers, and enable shipping from India to the United States and within North America. “We want to reach out to the constantly expanding Indian and South Asian diaspora in the Western Hemisphere, and the South Asian Subcontinent with everything they need,” said Dr. Parikh, recipient of India’s Padma Shri award. “We want them to take advantage of our platform. And we want to provide at home that we like to buy when we visit India,” Dr. Parikh added. “Most Indian businesses in the U.S. don’t have fully functional e-commerce websites. We want to bring them online and give them an option from the expensive television advertizing they have now to an affordable way of bringing their products to market,” said Gupta. Zifiti is focusing initially on the $1 billion dollar Indian grocery and food market. It is already online with a Wisconsin-based partner “IShopIndian,” and expects to sign on multiple food sellers in the near future, Gupta said. Future plans include attracting those interested in South Asian cuisine – how-to cook, where to get the ingredients, demonstrations by famous chefs, cooking shows, etc. Zifiti will make it a visual experience so that even non-Indians can understand and utilize the information on the site.